We enjoyed our stay. Everything was very clean and fresh. Good beds, nice views and excellent breakfast. Thank you. 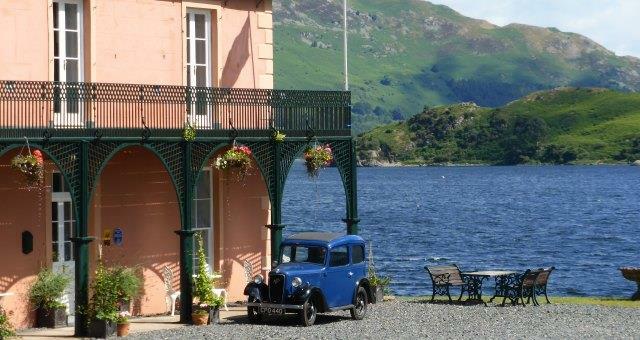 After a seven year restoration, this iconic building on the shores of Lake Ullswater is now open for boutique B&B and exclusive weddings. Every room has quality fittings, four poster beds, oak floors, period furniture, marble/slate wet rooms/bathrooms, stunning views. From A66/M6 jct 40, take the A592 to Glenridding, turn second sharp left at Glenridding Village. 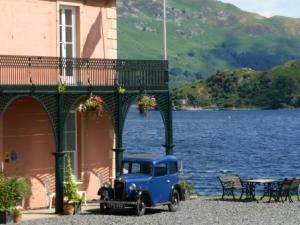 From M6 jct 36 take A591 to Windermere, then A592 over Kirkstone Pass to Glenridding, turn right opposite fuel station.